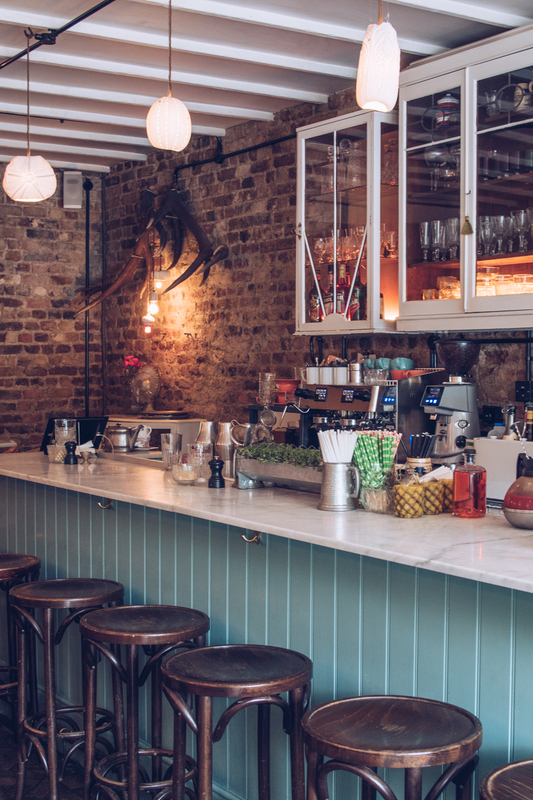 Living in North London, going for brunch at Pedler in Peckham is quite the trek, but both the meat and vegan options proved absolutely worth the trip. It takes me 74 minutes to get to Peckham from my little (rented) flat in North London. That’s 9.7 miles of tube changing and bus hopping which might explain why I’ve only made it to that part of the city once before in my eight years of living here. 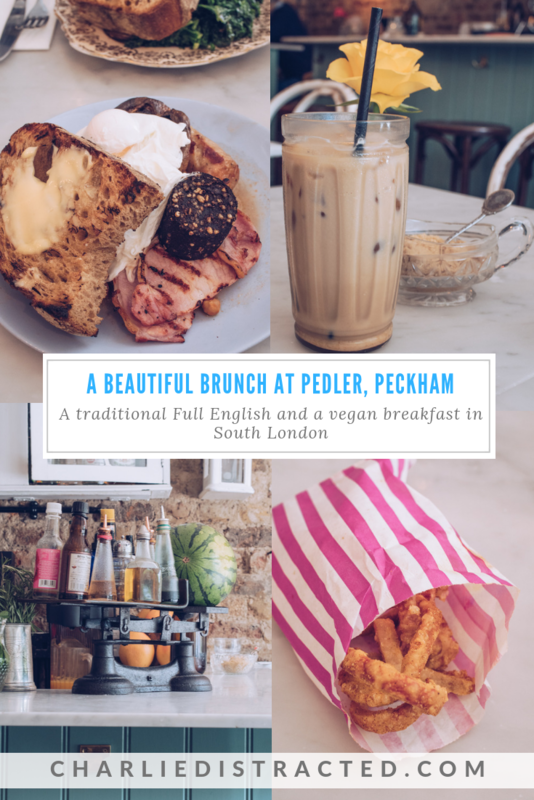 I’ve heard all about the Bussey Building and PeckhamPlex and Four Quarters, but even though there’s loads there to see and do, it was the temptation of brunch at Pedler that finally got me moving. 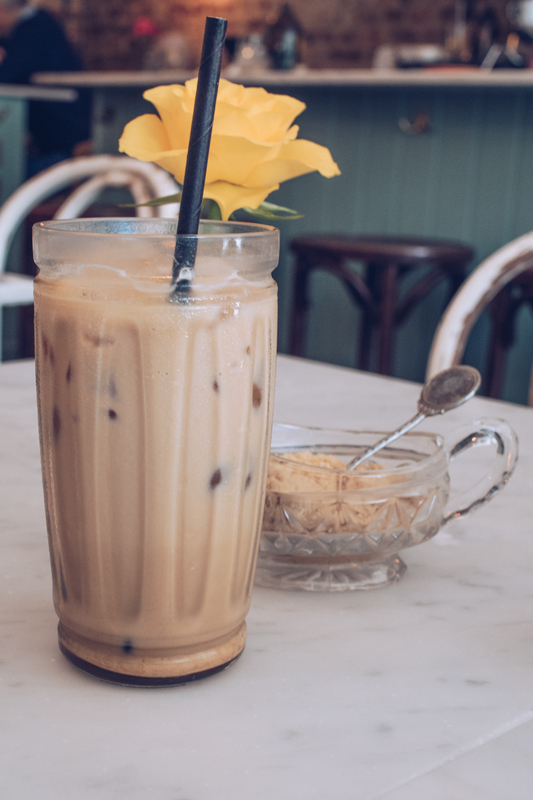 On a stinking hot summer morning, Emma and I sheltered from the sunshine in glorious air con and giant iced coffees, trying to whittle down the menu. Our server told us about all the vegan options and alternatives that Emma could order, ensuring she was just as spoilt for choice as I was, and giving us a heads up about Pedler’s monthly vegan night where the entire restaurant, including booze, is totally free of animal products. 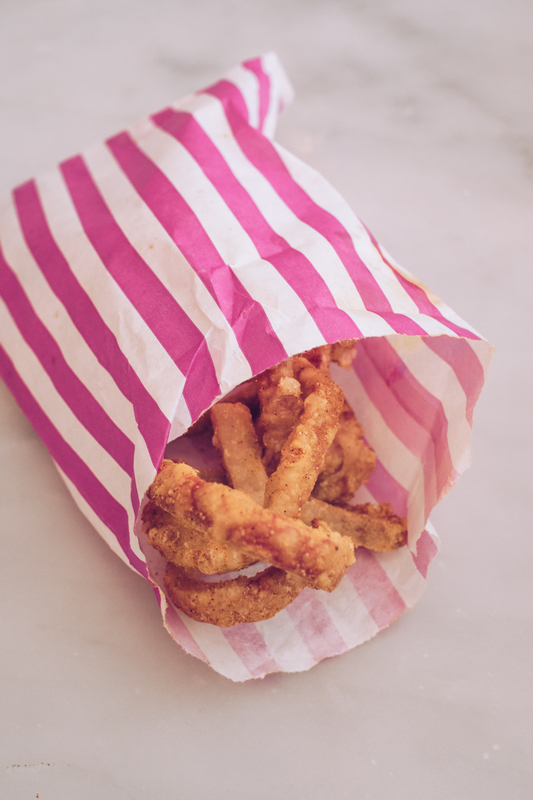 I started with a little paper bag of lard-y-dahs, scratchings made with whatever the chef has left over from that morning’s prep. This time it was udon noodle thick lengths of pork, twisted from hot oil, teeth-shakingly crunchy and shaken in curry salt. I nibbled on them throughout the meal as they are certainly more substantial and a little more challenging to eat than your regular pub hog lumps. 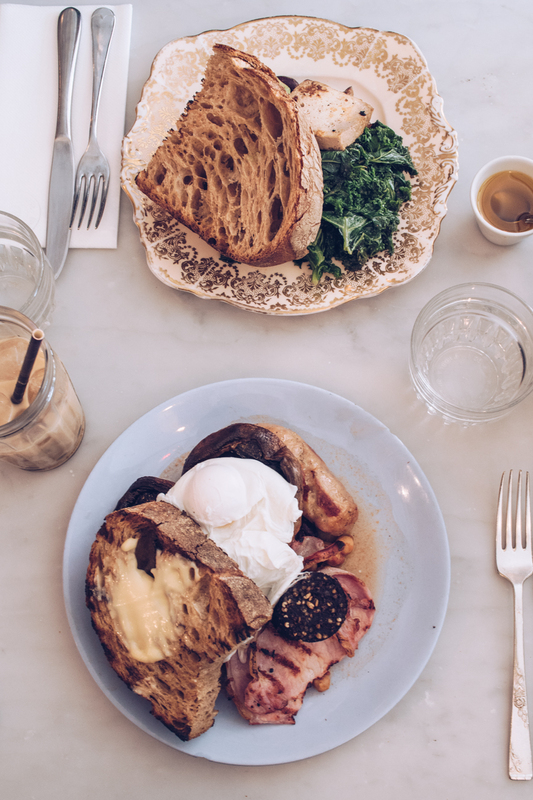 I was almost in tears trying to choose between the confit duck leg with bubble & squeak or the signature Pedler breakfast, but I settled on the latter whilst simultaneously promising myself that I would be back to try the former in the near future. 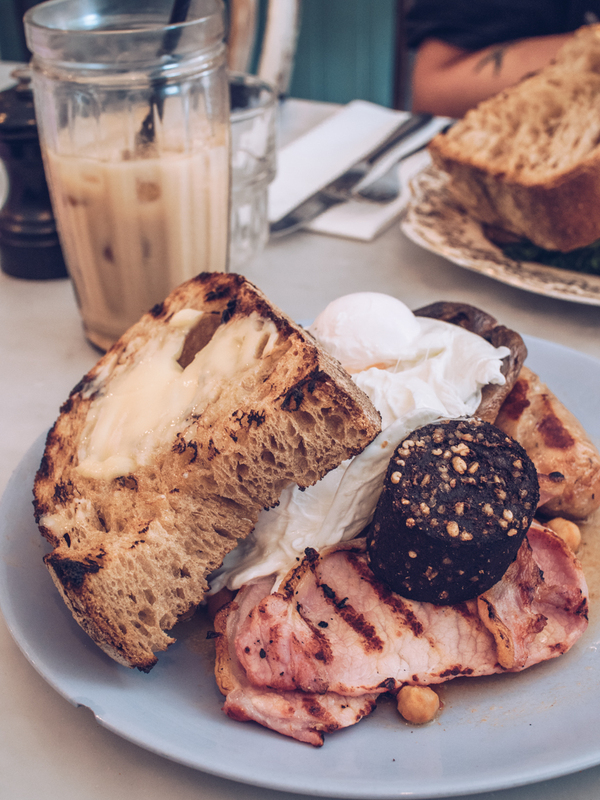 It is one of the most considered, impeccable takes on a full English which is normally symbolic of grease and beige. The thick slices of smoked bacon and sausages made with Little Bird gin were stunning as was the rich black pudding. The soft yolk poached egg, grilled flat mushroom and slow roasted tomato allowed me load up every forkful with an amalgamation of beautiful products which make me want to shun supermarket mass produced food forever. 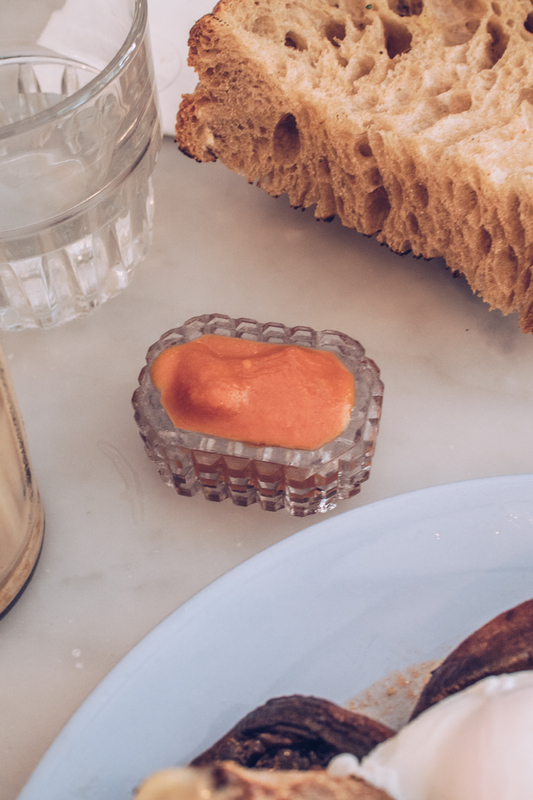 Usually, the best bit of a full English breakfast for me is the bacon, but at Pedler it was the beautiful homemade mixed baked beans which I gleefully mopped up with a doorstop of sourdough Campilou toast smothered in MAPLE BUTTER. I’m the sort of person that likes an inch of butter on their to toast anyway (which is why I rarely have it in my own home! ), but the tang of maple in the butter itself was like having a glimpse of French Toast without the full commitment to a sweet dish. Emma’s vegan version of The Gardener vegetarian breakfast swapped out the eggs for flat mushrooms and had the same tomato and beans as my brunch. 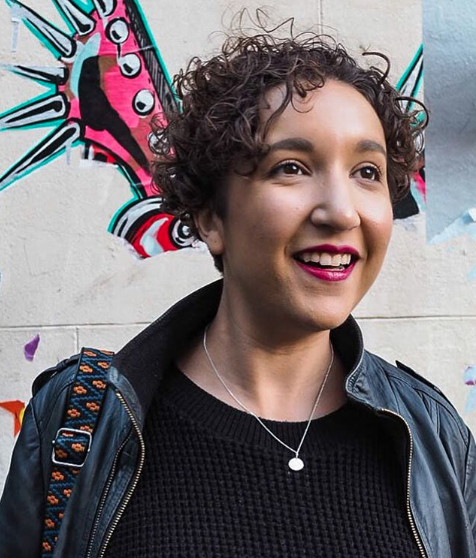 The rest of her plate was loaded up with kale, smoked aubergine and fried tofu, going up a step from so many vegan breakfasts I’ve seen friends struggle through. They even switched the maple butter on her toast with a pot of organic rapeseed oil for dipping and gave us a taster of their homemade Sriracha; such beautiful attention to detail and showing a place that really loves food and isn’t just serving a standard vegan option for the sake of bringing in more punters. 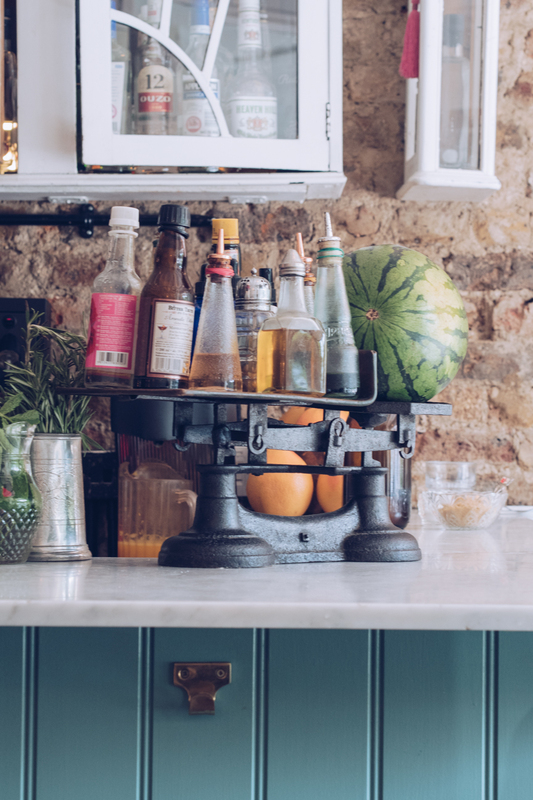 On top of the beautiful food, the service was warm and friendly, not pressured at all and genuinely enthusiastic about what was being put on our plates. 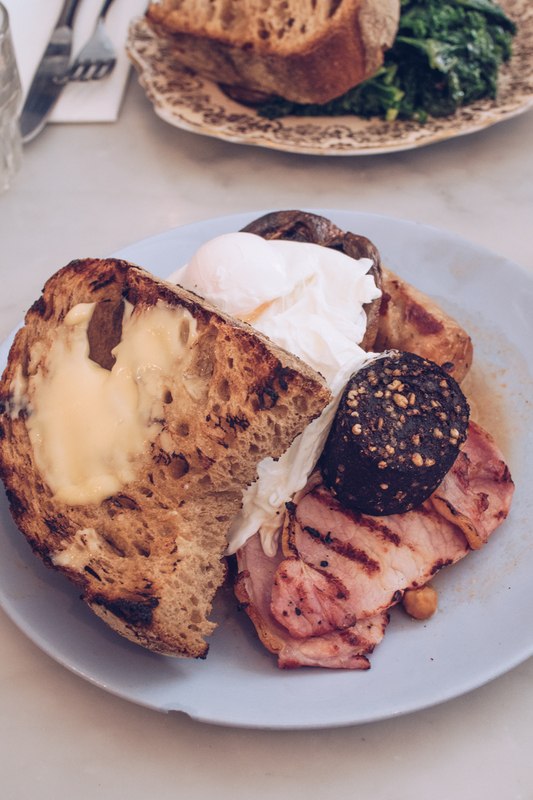 Pedler serves up a brunch experience that is well worth braving an hour’s worth of travel for, all I need is a good book for the journey and an empty stomach – I’ll certainly be back.